This is the fourth post in one week aka let's see if I can use absolutely every cake decorating tool I have in the span of a week. It is officially birthday cake season. It appears that 70% of my family has a birthday that occurs between March and May (mostly May). Among those cakes are a few non-family-related cakes here and there. This was one of them. 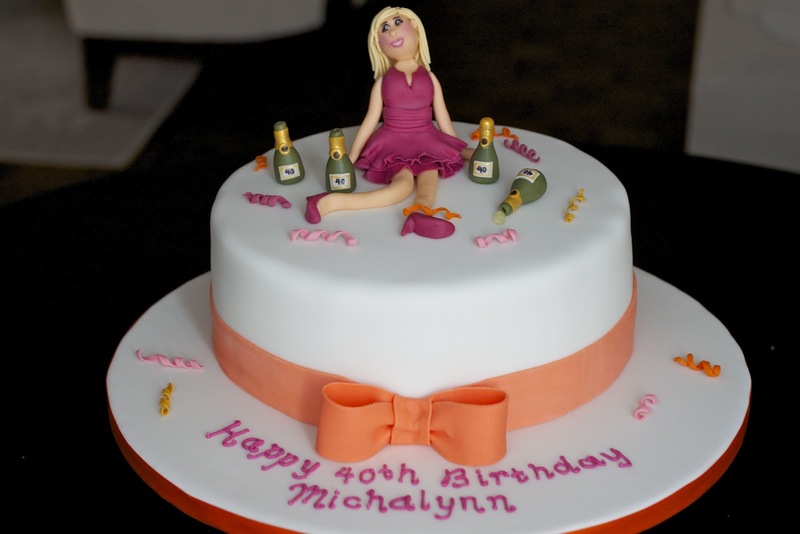 This party girl cake was for a 40th birthday party. 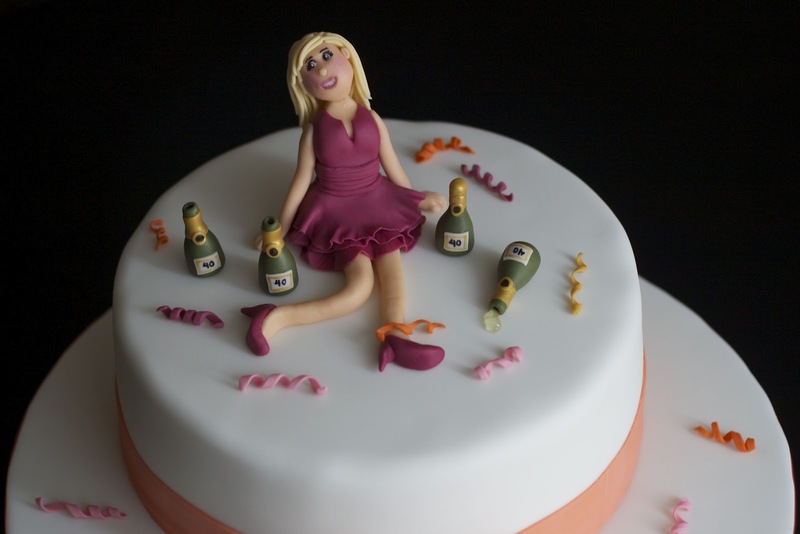 The request was for a cake topped with an inebriated party girl surrounded by champagne bottles. 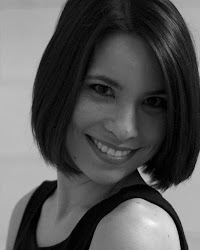 There are so many options out there for party dresses. For inspiration I browsed the Nordstrom website and picked a design that I felt I could successfully make. I decided to make a ruffly party dress with a ruched waistband. As I was making an orange bow for the border of the cake (the birthday girl's favourite colour), I made the dress in a fuchsia pink as I thought the colours would go nicely together. 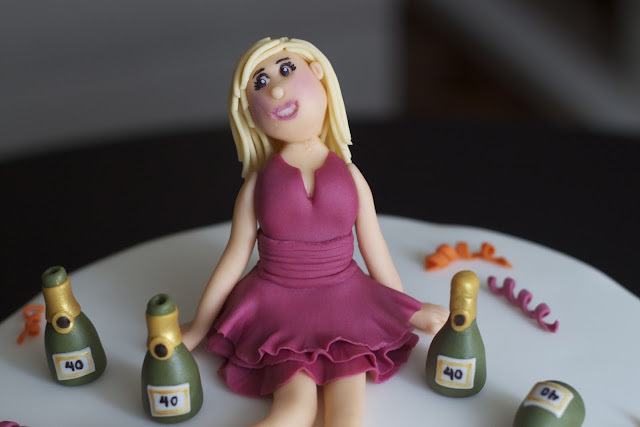 All of the decorations are made of modelling paste with details painted on using petal dust mixed with vodka. 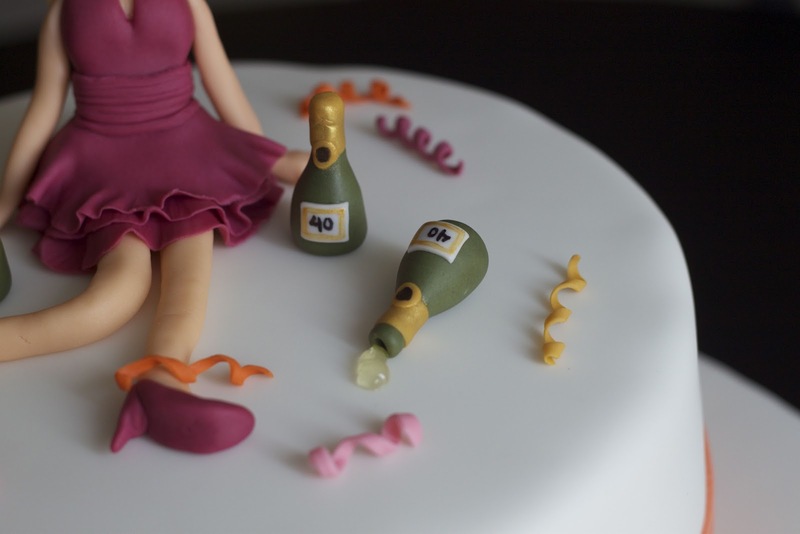 The spilled champagne is piping gel tinted with a tiny bit of yellow gel paste. The cake is a 10" devil's food cake filled with chocolate swiss meringue buttercream. I crumb coated and masked the cake in vanilla buttercream since I was covering the cake in white fondant (I do roll my fondant fairly thick but didn't want to take any chances). The orange bow is made with gum paste and the message is piped on the cake board using royal icing. Stay tuned for many more birthday cakes in the next month! Previous month, I've ordered about 3 cakes for birthdays. And all of them were quite good. Fondants are so in trend now. Cakes look beautiful. Thanks for the share. A Toopy and Binoo birthday!